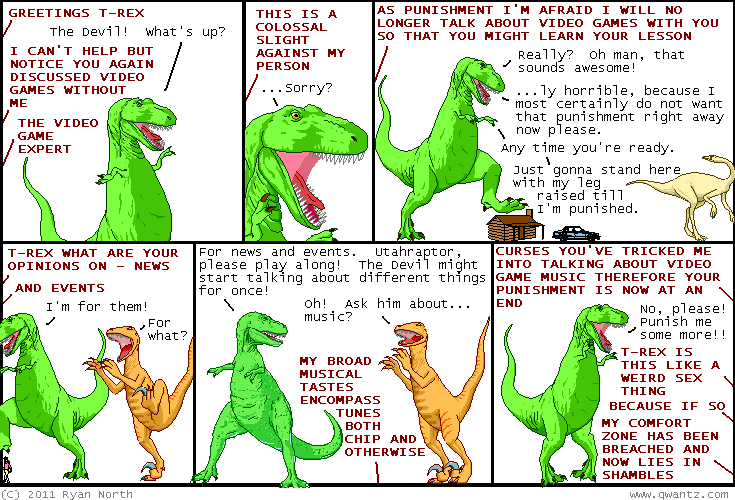 Dinosaur Comics - May 16th, 2011 - awesome fun times! May 16th, 2011: TCAF was a lot of fun, and made me realize I miss day-to-day hanging out with readers! Over on my Tumblr I've been wondering about ways to do that: a new forum? IRC? A secret Twitter username and hashtag? I don't know what but I will think of something so if you are looking forward to hanging out on the internet to talk about comics then HANG TIGHT because something will happen SOONISH.